Established in 1962, Wavin Limited is the UK’s leading supplier of water management, plumbing, heating and drainage systems for the Building, Construction and Utilities markets. Highly respected within the Construction Industry, Wavin has earned a reputation for innovation and has an extensive product portfolio under the OSMA, Hepworth, Thermoboard, Intesio, Certus and Hep2O brands. As the company who invented the first push-fit plumbing system, through its famous Hep2O brand, Wavin remains the leader in the field. Hep2O is an innovative push-fit polybutylene system for domestic hot and cold water supply. Hep2O is designed to enable professional plumbers to achieve faster, safer and more cost effective installations, while ensuring reliability through long service life. So confident is the company in the quality and technical ability of its Hep2O components, they are covered by an industry leading 50 year guarantee. Hep2O products are precision-manufactured in Wavin’s high-tech Doncaster plant using the most advanced injection moulding and extrusion machines. 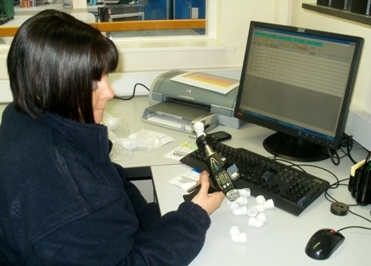 To ensure the absolute quality of the range’s components a strict quality control system is adhered to. To help guarantee the reliable sealing characteristics of all Hep2O fittings, the range’s components have extremely demanding dimensional tolerances. When the need arose for a reliable way of precisely measuring the critical internal diameters of Hep2O fittings, John Templeman, Quality Supervisor of Wavin, Doncaster, contacted Bowers Metrology UK. John explained “The British Standards Institution has issued certificates registering Wavin as a firm of assessed capability, with a quality management system which meets the requirements of BS EN ISO 9001. In addition, all of our products comply with or exceed relevant British and European standards to ensure reliability and long-lasting service. Our policy of continuous improvement means that we are constantly investigating ways to improve our processes. Typical of our unremitting quest for progress is our recent purchase of an advanced Bowers Bore Gauging system. “Although previous traditional methods, such as the use of plug-gauges gave us a good indication of size and fit, we were looking for an advanced internal measuring system that would increase our gauging capability and allow us to further control our process. “The pressure exerted by many of the available measuring systems precluded their use on our products, as they are liable to deform some of our thinner walled plastic components. To help overcome this problem, Bowers was able to reduce the spring pressure of its Digital Pistol Grip XT Bore Gauges and to retrofit a depth stop to speed-up operation. “As we need to keep detailed records of our measuring routines and perform SPC, the digital nature of Bowers XT Bore Gauges enables the rapid downloading of all measuring results to our software. In-fact, Bowers’ understanding of our requirements and willingness to adapt its standard products to our needs, lead Bowers to suggest the fitting of ‘wireless’ modules to our new gauges, enabling the sending of measured data without the need for a physical link. Bowers Metrology’s state-of-the-art XT Xtreme Bore Gauging range boasts advanced electronics that have an impressive IP65 rating. This renders them resistant to coolant, water and airborne particles and makes them ideal for use within hostile measuring environments, such as close proximity to Machine Tools. Amongst a long list of useful features incorporated into these, radical tough instruments are a clear digital display, ergonomic pistol grip handle, metric/inch conversion, an RS 232 output and hardwearing extended travel carbide measuring anvils. Available to measure sizes from 2mm – 500mm, Bowers are also able to manufacture inexpensive ‘one-off’ XT instruments to cater for many other internal measuring applications, such as threads, grooves, and splines. For more information on the Bowers Digital Pistol Grip Bore Gauge range click here.